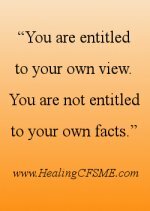 Do you feel anger about chronic illness and its impact on your life? If so, you are not alone. Finding yourself with a severe chronic illness is a shock to the system. It is normal and natural to feel angry as a result. What are the benefits of feeling your anger? I felt angry that no one came forward to look after me and that I had to fight so hard to stay alive. I felt angry that life seemed to demand that I be more reasonable than those who were healthy and had less to deal with. I felt angry that whatever I did, I didn't seem to be able to get things set up so that I was looked after. I felt angry with myself for being ill! Some people feel comfortable with their anger. I wasn't one of them. I judged myself for feeling angry. Judging yourself for feeling anger can hold you back from actually feeling it. To learn to feel my anger, I developed a technique I called The Release. Visit another website if you want to download a copy my FREE ebook on Releasing Judgment – Forgiveness Exercises for Self Acceptance and Inner Peace. 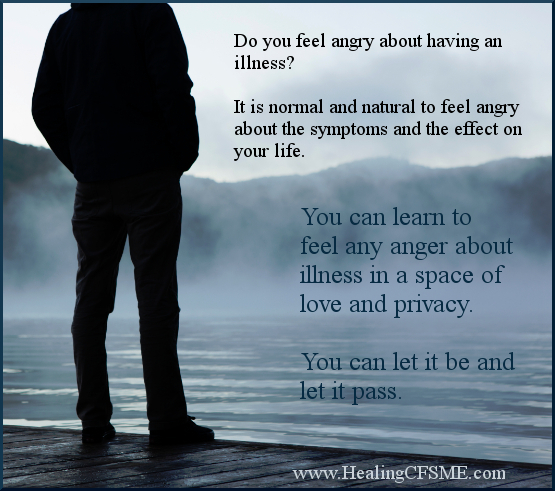 You can learn to feel any anger about illness in a space of love and privacy. As you do so, you may experience the following benefits. Feeling can allow the anger to pass more quickly. You are less likely to express anger inappropriately with someone else. You get a clearer idea of what you feel angry about. You may think you are angry with someone else and find out that you are simply angry about illness. If you do feel angry with someone else, as you give yourself permission to feel the anger, you will gain a clearer idea of who you are angry with. It might turn out that you feel more angry with yourself than anyone else. As well as my technique of Releasing Judgment there are other alternative healing methods which can help you to feel your feelings. A characteristic of living with Chronic Fatigue Syndrome / Myalgic Encephalomyelitis is that activity or exercise can aggravate the symptoms. The following little poem or thought-bite refers to the anger I felt when living with very severe illness at times at not being able to rest sufficiently to keep the symptoms under control. some things just need doing. It’s OK to find yourself in circumstances which force you to do someone physical damage. “Rest in His Love and protect your rest by loving. I am now at a level of health where I can safely do much more for myself than before. I still feel angry at times about the restrictions of illness. I am better at allowing myself to feel the anger than I was before. The British lady, Kate Allatt suffered a stroke that left her with locked in syndrome. In her book, Running for Life, she speaks of how important anger was. Anger gave her the energy to ask for the treatment she needed. Anger motivated her to keep pushing forward. Read more about Kate Allatt here. Feeling anger about chronic illness is a normal and natural stage as you move towards feeling greater acceptance of your level of health. 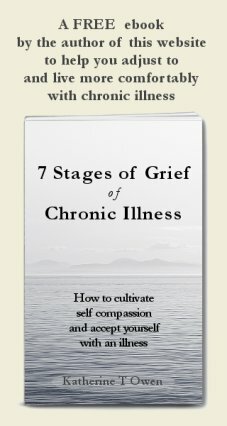 Please help yourself to a FREE copy of my ebook on chronic illness to learn about the 7 stages of grief of chronic illness. Move to read more tips to help with emotional healing and health in a time of chronic illness.